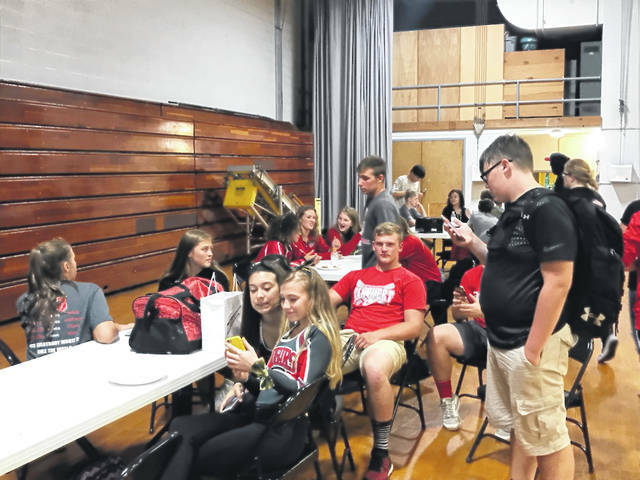 VAN WERT — First United Methodist Church, 113 W. Central Ave. recently sponsored the “5th Quarter,” an event for middle and high school age students to have fun and fellowship. The event serves as safe place for students to go after the Friday night football games, according to the news release. Students who attend the event get free pizza, pop, music, activities and prizes. The event is held at the Van Wert YMCA for middle school students and at the Van Wert schools Goedde Building for the high school students. The event began immediately after the game and ended at 11:30 p.m.